It used to be called Focus on Imaging. Last year it got changed over into The Photography Show. Not sure it’s the catchiest name in the world but otherwise not a lot has changed. Here are a few quick thoughts on the recently concluded 2015 installment at the Birmingham NEC. The DSLR video push is slowing down. Where the last year or two saw a big push with stabilisers, shoulder pods, etc, this section was much more muted this year, although you could still find sliders and such like if you tried. A notable first showing from Konova. The video invasion is still on. A first, and signficant-sized, stand from Blackmagic. Nothing against video but I hadn’t realised that video now had a home in a photography show. We seem to now have made the leap from video accepted in a photography context because of feature support from DSLRs, to a situation whereby it is embraced as part of the photographic consciousness. The DSLR manufacturers only really have themselves to blame, in a way. The drone invasion is in full swing. Video might be staging an invasion, but drones are taking over the world. Where last year there was, if memory serves, one drone on display, this year there were at least six separate companies displaying drones for all budgets. The march of the Chinese. It’s taken a while, but they’ve arrived. Both Benro and Nisi had stands for the first time, and Sirui had an impressive stand after their modest first go last year. After years of banning photography, the National Trust recently loosened restrictions on photography at their properties. A stand at The Photography Show breaks new ground though – clearly someone at the National Trust has realised that there is money to be made from photographers. Update: I spoke to someone today who was photographing at a National Trust property. Apparently the ban on commercial photography is still very much in place, which is to an extent understandable. But somewhat ironic given their presence at what is ultimately a trade show for professional photographers (albeit one gatecrashed by amateurs). More money to be made from photographers. In addition to the National Trust, photographers have also realised that there is money to be made from other photographers. Not particurly conspicuous in previous years, this year there were exhibitors selling workshops in locations from Africa to Wales. In addition to Blackmagic, another surprise exhibitor was light field technology company Lytro. Having recently announced their intention to streamline the company and cut jobs, with the implication that they were looking to focus their efforts (pun intended) on video, it was a bit of a surprise to see them at the NEC for the first time. Some interest, but not one of the more crowded stands. Another first was a lens rental company at the show. 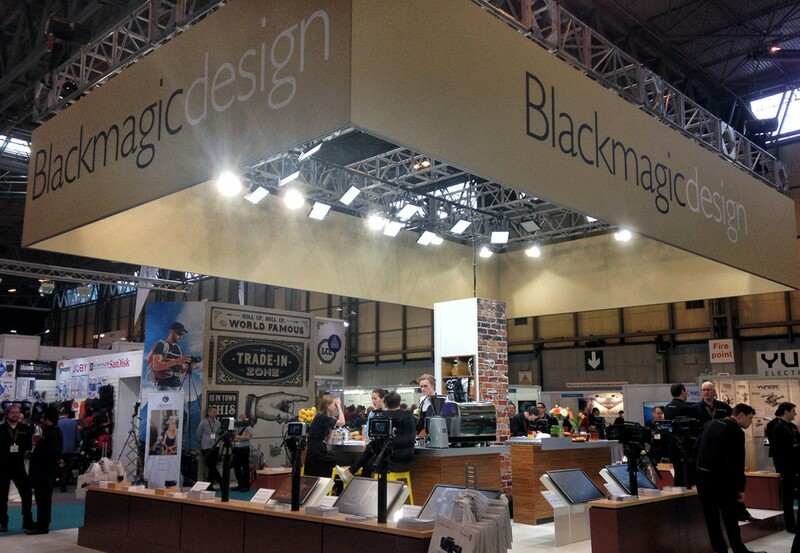 Several companies have started up over the years and it was perhaps inevitable that they would try their luck at the UK’s biggest photographic trade show. More photographers equals more demand for specialist services such as rental. A new hall this year; not entirely convinced this was a step up. They seem to have tightened up on amateurs gaining free admission by pretending to be in the photographic trade, which used to happen a lot. Nikon, Canon and Fujifilm bagged prime position right at the entrance. Not entirely convinced about Canon’s exposed chipboard effort, and some of their crowd control decisions created issues with crowd flow. Otherwise, it really is a case of more of the same year on year.